Austinites are known for their health-conscious attitudes, and the communities surrounding Lake Travis are no different. You can always spot cyclists and runners in the area, whether in neighborhoods or even on the more busy roadways. You'd almost have to work at not being active considering the many miles of hiking and biking trails, swimming spots and array of outdoor activities that can be enjoyed all year long. Recreational activities aside, the Lake Travis area is home to all manner of athletes, including various championship teams at the high school level. Among them is the Lake Travis High School football program which boasts six state titles. But you don't have to be in training for a marathon to enjoy the great outdoors in the Lake Travis area. 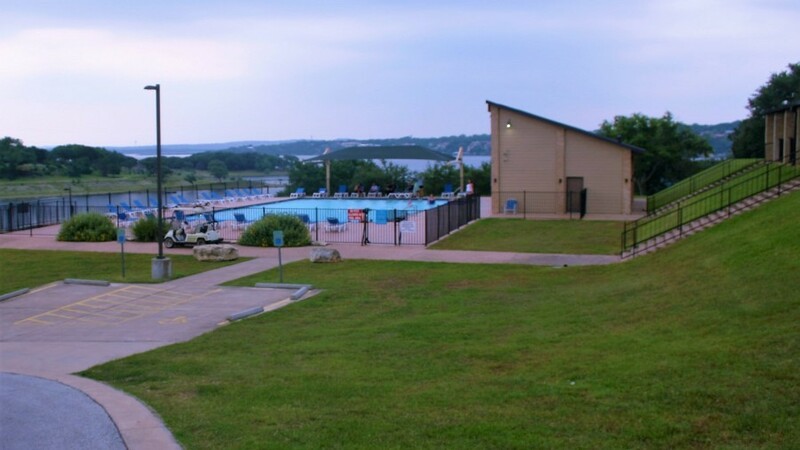 Check out some of the Lake Travis area outdoor activities you and your family can start enjoying today. Back when I was a kid growing up near the waters of Lake Michigan, my parents had a friend with a sailboat. I was too little to be interested in learning anything about how to sail, but always remember the excitement when the opportunity came to be out on the water in a sailboat. The waves on Lake Michigan are notorious for making the hardiest of sea captains lose their lunch. At my age, I couldn’t be compared to any sort of skipper, so I had no problem losing my lunch every time we headed out of the breakwater and got into the rhythm of the Lake Michigan waves. But that never stopped me from getting completely surrounded by water and in a boat powered by the wind. When Steve from sailATX asked me if I was interested in sailing on Lake Travis, the excitement of sailing — something I haven’t done for 20+ years — came alive again. This time it would be without the Lake Michigan waves that stole my lunch. If you can handle being in a boat on an inland lake, you can sail on Lake Travis. If you happened to glance at Lake Travis on Saturday or Sunday, you might have wondered what was going on. Sure, it was Memorial Day weekend. Makes sense for people to flock to the lake. But why all the sailboats? For the first time in years, the weather cooperated enough to hold a two-day race the Austin Yacht Club calls the Turnback Canyon Regatta. One sailor, whose team came in fourth in his division Saturday, explained that there has to be enough water in the cove at Bar-K Park to allow the sailboats to tie up overnight. You may recall the Memorial Day weekend of 2015, when there was too much water (not to mention debris) to hold the race. It’s summertime in the Lake Travis area when uninvited guests start crashing your backyard barbecues — and we don’t mean those annoying neighbors that play their music too loud after 10 p.m. We’re talking about bloodsuckers of the winged variety. Mosquitoes. Do you know mosquitoes may ignore you if you’re lazy? Do you know girls do run the world when it comes to mosquitoes? Yep, the female mosquitoes bite, not the males. They need blood to produce fertile eggs. Male insects live off of nectar. Summer is just around the corner — the days are starting to get longer and that famous Texas heat is already making a regular appearance around Lake Travis. Before you know it, you’ll have summer visitors at your door, ready to see the best that the Lake Travis area has to offer. That’s when it’s up to you, fellow Lake Travisite, to bring out-of-towners to the chillest swimming holes and local destinations that give your Lake Travis visitors a few solid hours of entertainment — Lake Travis style. There’s something to do for everyone in Lake Travis, so grab your swim suits and some sunscreen — we might be out for a while. The clear blue expanse of Point Venture pool looks like it might be chilly. Dip a toe, gently slide in, or dunk yourself. After marching across the pool just once, the water temperature feels just right. Armed with a dazzling smile, a waterproof Bluetooth speaker, and some props, Point Venture resident Linda Lewis guides the AguaFit workout with original choreography.